There are more than a 100 different reasons if not more that you should get married in Italy, however, we could go on for ages so for the sake of space and time for the reader, I have had to limit the reasons…. Definitely the weather, allowing the couple to take advantage of outside ceremonies and dining, not forgetting the after wedding party. The land of Amore. This is the land of Romeo and Juliet, Paolo and Francesca, Dante and Beatrice; the land of films like Roman holiday and La dolce vita; the land of love songs, sung by Caruso to Mario Lanza, Pavarotti to Dean Martin, Baglioni to Boccelli. The endless venues available for weddings, from palaces and castles to villas and hotels, from country houses to agriturismos, from museums and private noble homes to restaurants and stadiums from art galleries to night clubs and bars. If you fancy a town hall wedding, you are definitely spoilt for choice. If couples fancy a religious wedding there are some amazing cathedrals, churches, and chapels throughout Italy. Also available are synagogues and Greek Orthodox churches, which are only available in certain parts of the country. The never-ending views available to couples, from dramatic sea views to sweeping countryside, from cityscapes with great panoramas to striking lake views, from spectacular mountain views to charming town views. Unique Locations for family and guests – From the canals of Venice to the bustle of Florence, the charm of Le Cinque Terre to the drama of Positano and Ravello, the history of Maratea to the energy of Rome, the tranquillity of Verona to the excitement of Siena. Also, couples can take advantage of the festivities which are available here and add to the beauty of their wedding. Take advantage of the flower (infiorata) festival in Pienza in Tuscany, Noto in Sicily, Spello in Umbria and Genzano in Lazio; the palio in Siena; the carnival in Venice, the fireworks of Matera at the Madonna Bruna festival; the regatta of Amalfi; the opera festival in Verona…. The possibility to choose the right theme for your Italian wedding – intimacy and privacy, romantic and secluded; garden to terrace, beach to off the beaten track. Why not enjoy your Italian Honeymoon. Whisk off to new destinations by either touring the country or locating yourself in romantic Italian destinations, from Capri to Taormina, Ischia to Salina, Polignano in Puglia to Portovenere…endless possibilities. So whatever couples may be looking for, they will definitely find romance in Italy. 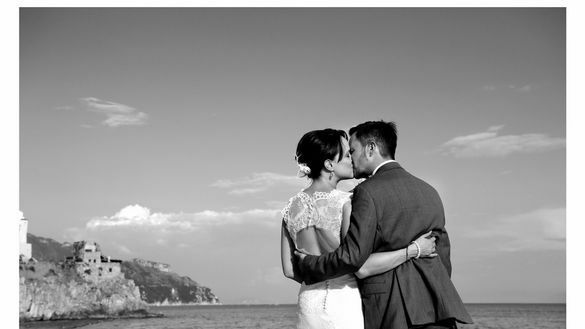 To Book Your Italian Wedding: www.weddingmadeinitaly.co.uk.